In 1985 he did his fellowship at Tata Cancer Hospital & In Hand Surgery. The very next year in 1986 he joined Jabalpur Medical College as the junior consultant (Poll Officer). 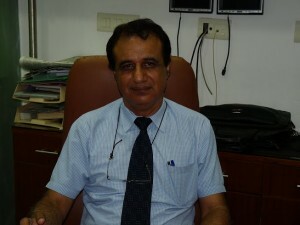 In 1987 he was awarder fellowship in Aesthetic Plastic Surgery by the Institute of Aesthetic plastic surgery, Atlanta. There he was trained under Dr. John R Louis, was the first president of International society of aesthetic plastic surgery.Dr. Talwar was the only Indian to be awarded with this prestigious fellowship at the institute. Dr Talwar Cosmetic surgery was started by one of the leading cosmetic and plastic surgeon of India, Dr. P.K Talwar way back in 1996. Dr. Talwar is one of the leading cosmetic and plastic surgeon in India. 1He graduated in the year 1979 with a MBBS degree from Marathwade University. 2In 1981 he completed his M.S. (General surgery) from the same university. He went on to do M.Ch. (Plastic Surgery) from Bombay University. 3After M.S. he went on to do M.Ch. (Plastic Surgery) from Bombay University. In 1989 he resigned from Dr. Ganga Ram Hospital to run his own Cosmetic Surgery Centre at East of Kailash, New Delhi. He is also associated with the Indraprastha Apollo Hospitals, New Delhi (India) as a Senior Consultant, Cosmetic Surgeon. His clientele includes Top Models, Film Stars from neighboring countries, Sport Stars and a lot of foreign tourists visiting India love to enjoy the benefits of his highly effective Cosmetic and laser procedures because of the non resisting competitive pricing offered at the center. 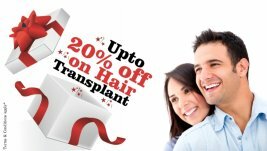 Dr Talwar is one of the best cosmetic and plastic surgeon based in Delhi, India. His effort and the value he has created trough his excellent work in realm cosmetic surgery is the great inspiration for all new doctor in this industry. The one aspect his life that is being down to earth and his great desire to support and cure his patient show his deep understanding and heart.He has developed a consultation method that seamlessly blends professionalism with a relaxed tone and his patients love him.